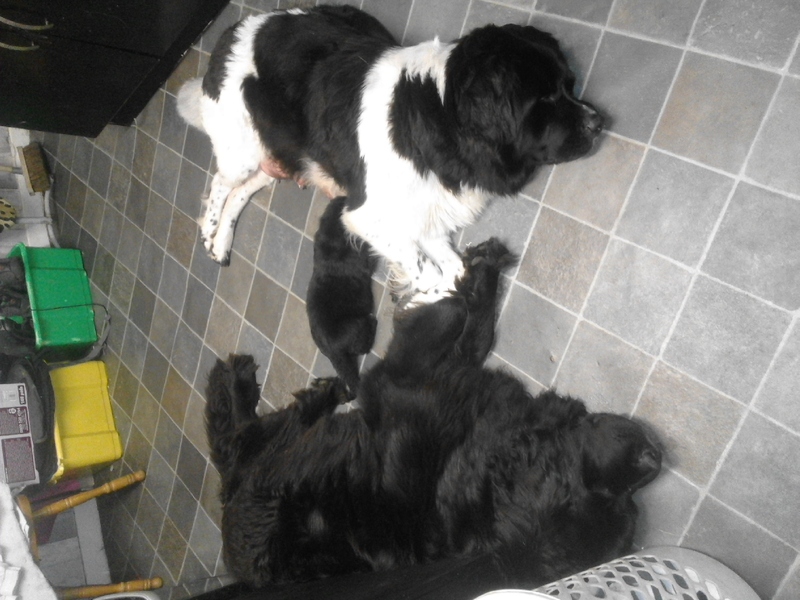 We have a beautiful litter of newfoundland puppies. 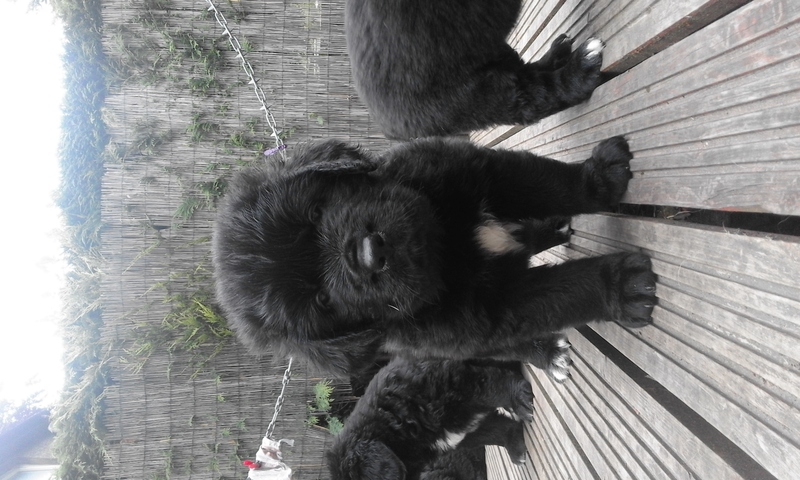 Puppies are all black with little white markings on the chest and some on the paws. 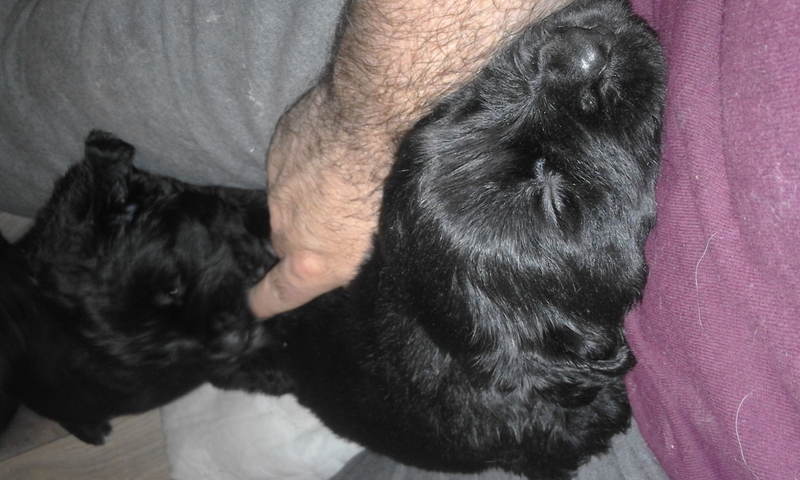 Puppies are six weeks old on tuesday 11th of july ( not ready to leave yet). Puppies will be ready to leave for their Forever homes on the 01/08/17. 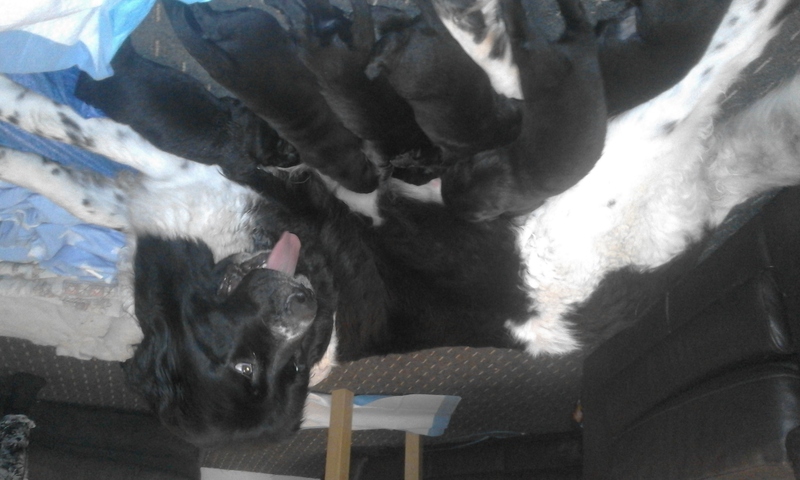 Mum is a two year three month old landseer newfoundland. 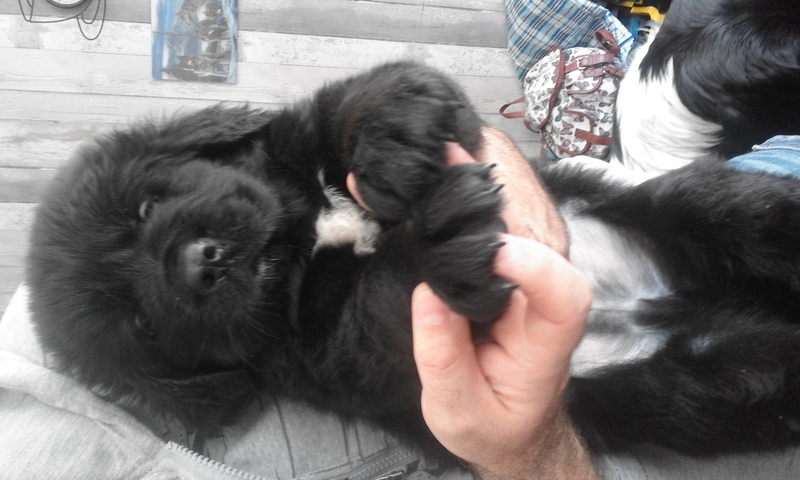 And Dad is a five year old black newfoundland. Both can be seen as they are family pets. Puppies will come with a full vet health check which includes. 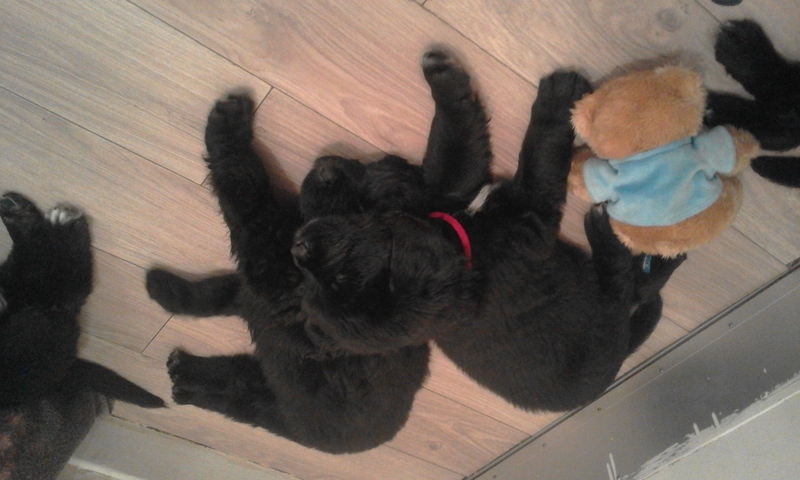 Puppies will have been socialised with kids and all day to day household noises. 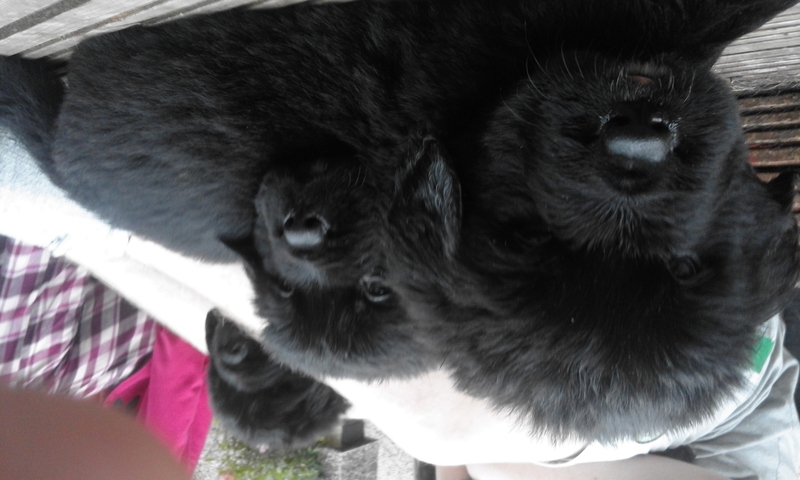 Puppies are not KC registered, and will be sold as pets.